We want to help even more children to achieve their dreams, however big or small. So if we can help your family please get in touch with us and let’s make 2019 a year to remember. On 15th June we held an open afternoon at the Cerebra Innovation Centre (CIC) to showcase some of the amazing designs produced by our talented team. Disabled children often encounter barriers to taking part in activities that non-disabled children take for granted. Our Innovation Centre designers are inspired by the children we work with to come up with brilliant ideas, that aren’t currently available, to help children have fun, play, discover and take part. The Cerebra Innovation Centre is based at the ALEX Design Exchange in the heart of Swansea, part of the University of Wales Trinity St David School of Art campus. The Open Afternoon at CIC was an opportunity to talk to guests about the Innovation Centre’s work as well as give a tour of the first class facilities that are available to the team as part of this collaborative project between Cerebra and the University of Wales Trinity St David (UWTSD). Guests were welcomed by James Moxey, Director of CIRIC (Creative Industries Research and Innovation Centre, UWTSD) and given an overview of Cerebra’s work by Chris Jones, Chief Executive of Cerebra. Rob Jones, who will shortly be competing in the Cardiff Triathlon with his daughter Poppy, spoke movingly about the difference CIC has made to Poppy’s life by enabling her to take part in this challenge (read more below). Dr Ross Head, Product Design Manager at CIC, spoke passionately about the positive difference CIC makes to the lives of children with brain conditions and explained, “I have had the opportunity to make a difference to fellow human beings simply by doing what I love to do. As a product designer, it is my passion to solve problems by the creation of a physical products, and to do that for such a worthy cause really does give me fulfilment in my work. As CIC work within UWTSD, we are immersed in a creative culture which drives the team to design beautiful yet functional products that help children and supply them with products that promote their individuality rather than highlight their differences”. Guests also had the opportunity to take a tour of the Innovation Centre’s office, workshop and machine room which illustrated the journey from design stage to fully working bespoke products. 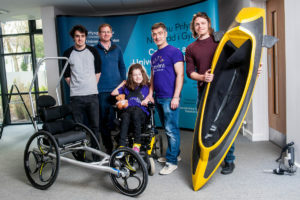 ‘Poppy’s Dream’ which has been a huge challenge for the team who have designed and made the equipment needed to take Rob and Poppy to the finish line of the Cardiff Triathlon on 26th June. 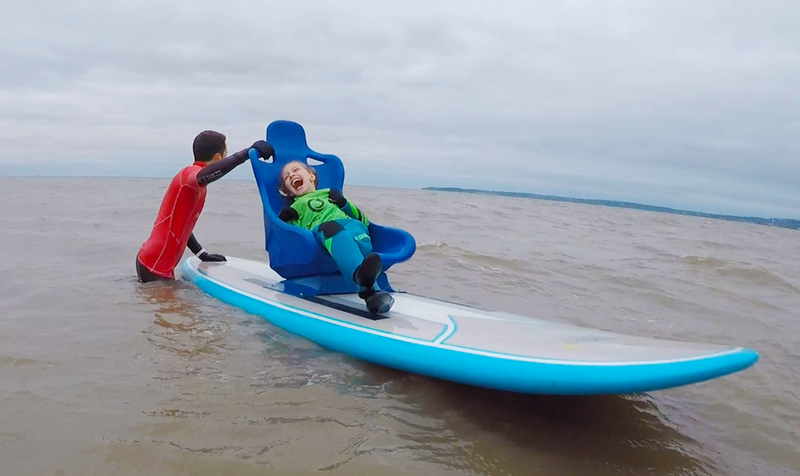 Eleven year old Poppy has cerebral palsy and is determined not to just take part, but to win! 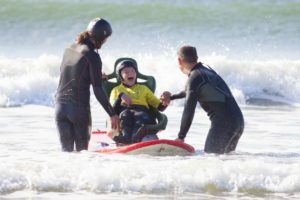 The ‘tandem surf board’ with its supportive bucket seat that allows disabled children to surf whilst being controlled by a trained surf instructor, and the ‘Surf Access Vehicle’ which enables wheelchair bound children to get to the water’s edge. 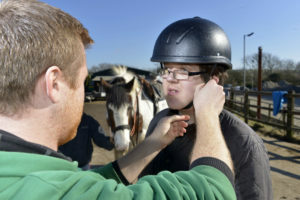 A bespoke riding helmet for 16 year old Tommy Lee so that he could fulfil one of his dreams to go horse riding with his friends. Tommy Lee’s unique head shape meant that a standard riding helmet would not fit. Designs by the team have also been developed and made commercially available through retailers. After being contacted by a parent who needed help to get out and about in the snow with a wheelchair, the team designed a sledge with a supportive seat and harness built in. The sledge proved so popular that CIC collaborated with Gordon Ellis & Co to launch their very first commercially available product. The GoTo is a postural support seat developed by Firefly and Cerebra that lets children participate in those moments that make family life special. Families worldwide use their GoTo Seats in supermarket trolleys, on planes, swings and Granny’s dining chairs. They make daily tasks easier, and mean kids don’t need to miss out. It gives a little piece of independence that lets them see the world from a new perspective and feel they’re at the heart of the action. 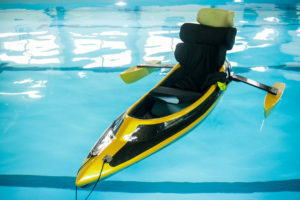 All of the Innovation Centre’s designs are in response to direct requests from parents and carers who are struggling to find the piece of equipment that would make their child’s life easy more, more inclusive and more fun. All of the designs are made free of charge for families. So if you would like to challenge the team to find a solution for your family please get in touch with them at [email protected]. Surfboard success for the Innovation Centre! 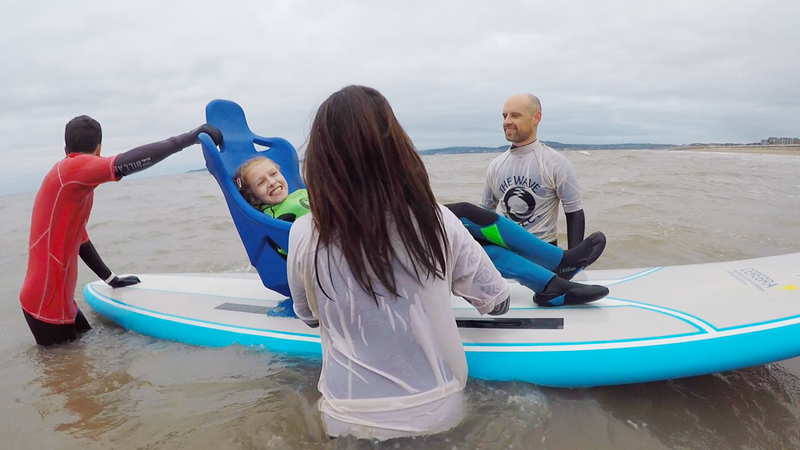 The Cerebra Innovation Centre (CIC) recently took on their latest challenge and converted a surfboard so that children with physical disabilities can enjoy the experience of surfing safely. One such board was sent to the family of young J and their feedback has shown that the surfboard has been a huge success! According to J’s mum, the surfboard was indeed a success and really made the family’s holiday. The guys at the Cerebra Innovation Centre are currently looking for new challenges. Do you have a need for equipment that isn’t already available on the market or doesn’t quite meet your needs? Maybe you have a completely new idea that you think would benefit your child. Either way, get in touch with the team at [email protected] or 01792 483688.